Today I've got such a simple and easy way to bust those scraps...I know you have them, we're all drowning in the things! Zippy Purse template, cut 2 outer and 2 lining. Cut 2 pieces of fusible fleece slightly smaller than the outers. Seam allowance is 3/8” (1cm) unless otherwise stated. Secure every row of stitching with a backstitch or two as you go. 1) Fuse fleece to the wrong side of the purse outers. As you can see, I've cut mine slightly smaller to reduce bulk. 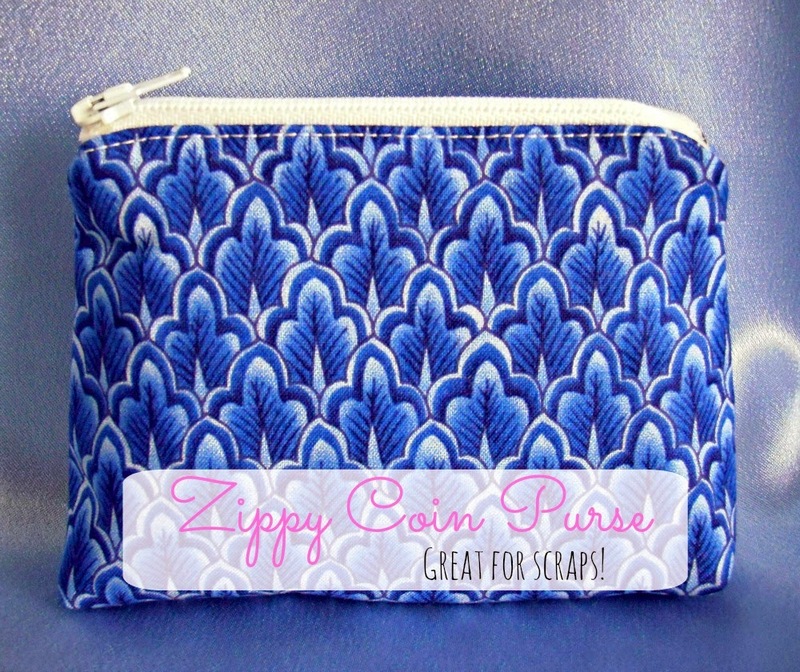 2) Lay one purse outer right side up and lay your zip right side down along the top edge. 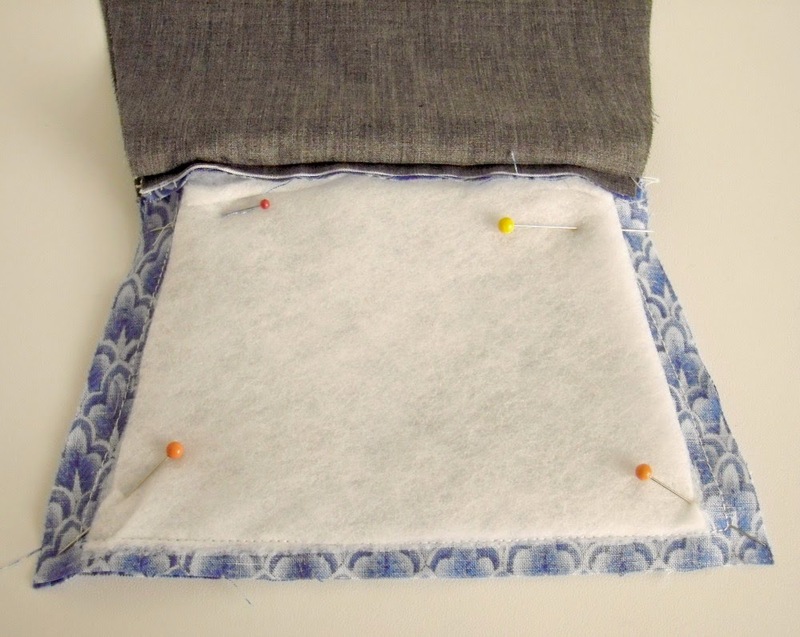 3) Lay one of your purse linings right side down on top and pin along the top edge. 4) Change to your zip foot and sew along the top edge with a 1/4” (6mm) seam allowance. If your zip pull is in the way, stop with your needle down, lift your presser foot and move the zip pull out of the way. Put your presser foot back down and continue to the end. 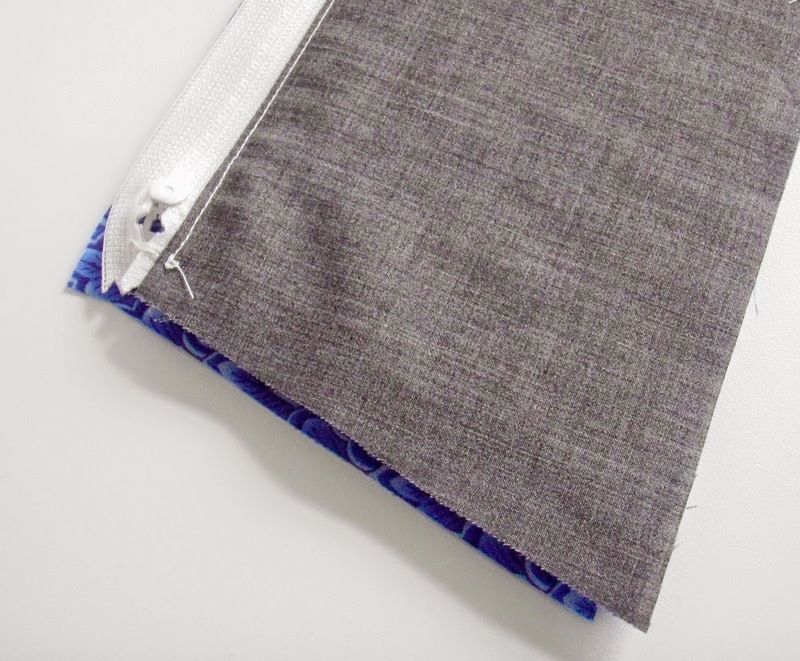 5) Fold your fabrics back so that they are wrong sides together and press them back away from your zip. 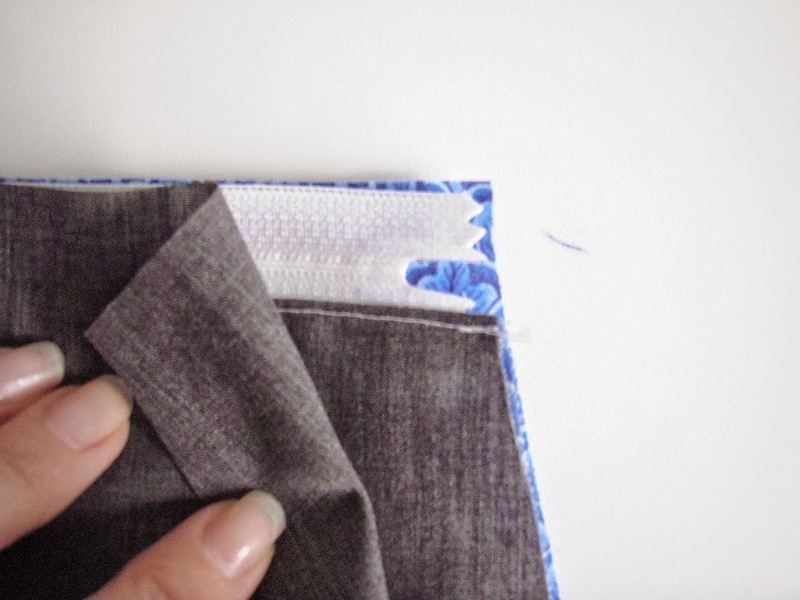 6) Top stitch along the edge of your fabrics with a 1/8” (3mm) seam. 7) Lay your second purse outer right side up, and lay the zip right side down aligning the top edges. 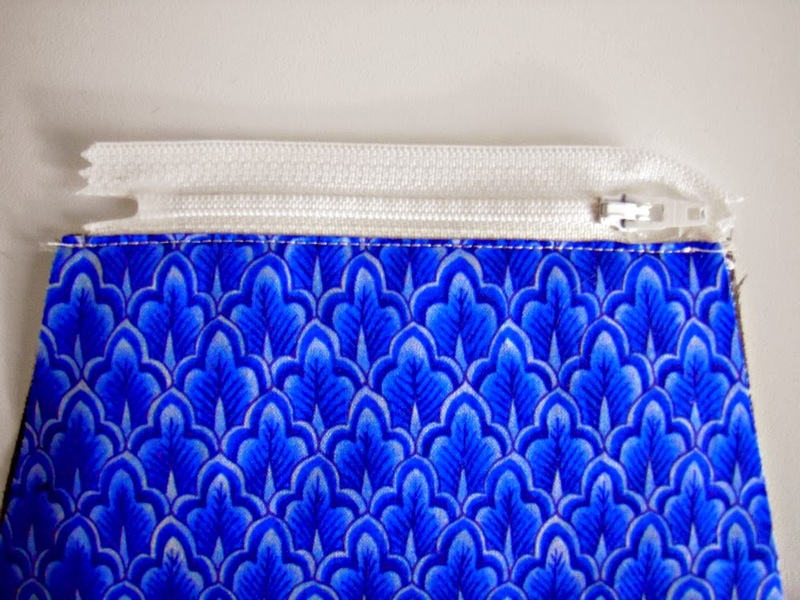 Your side edges should also match to the fabric already sewn to the zip. 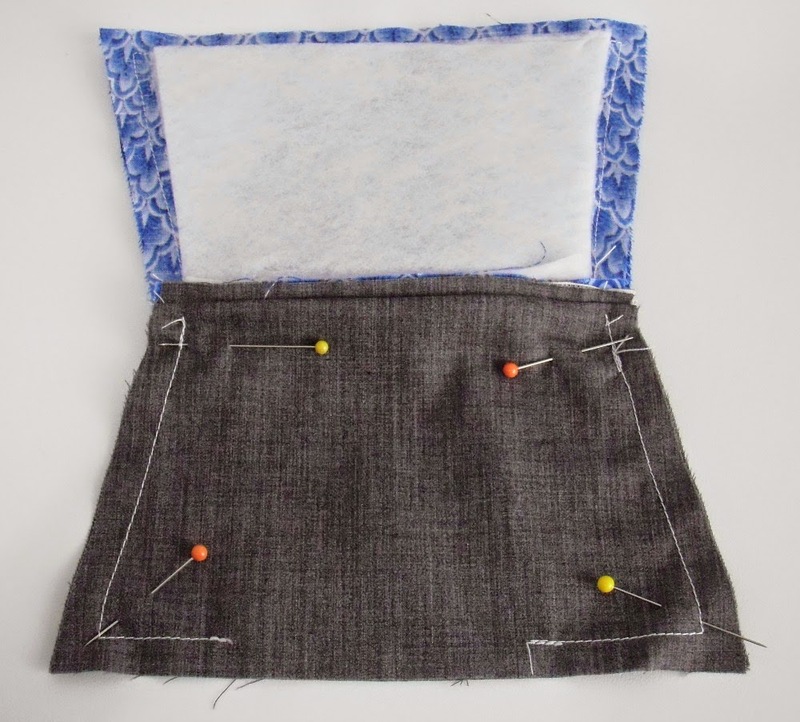 28)Lay your second purse lining right side down, aligning top edges and pin. 9) Sew along the top edge, as you did before. 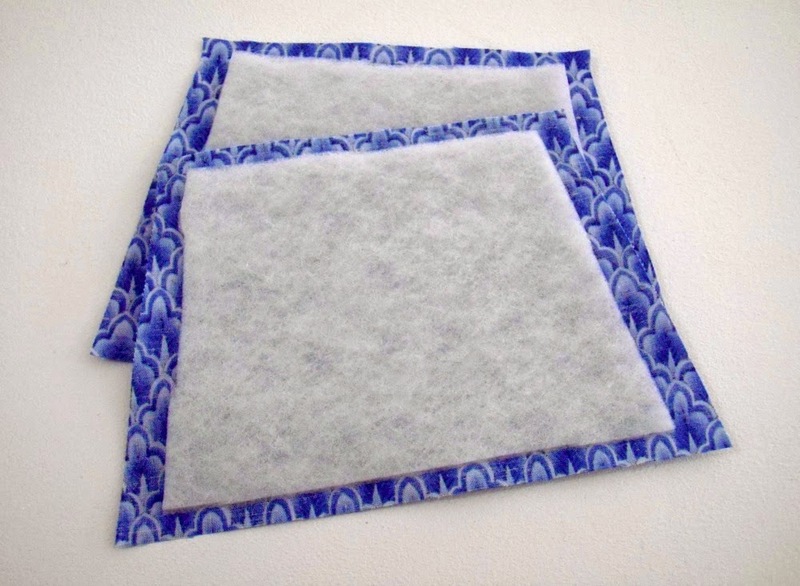 10) Fold the fabrics back, and press them away from the zip, as before. 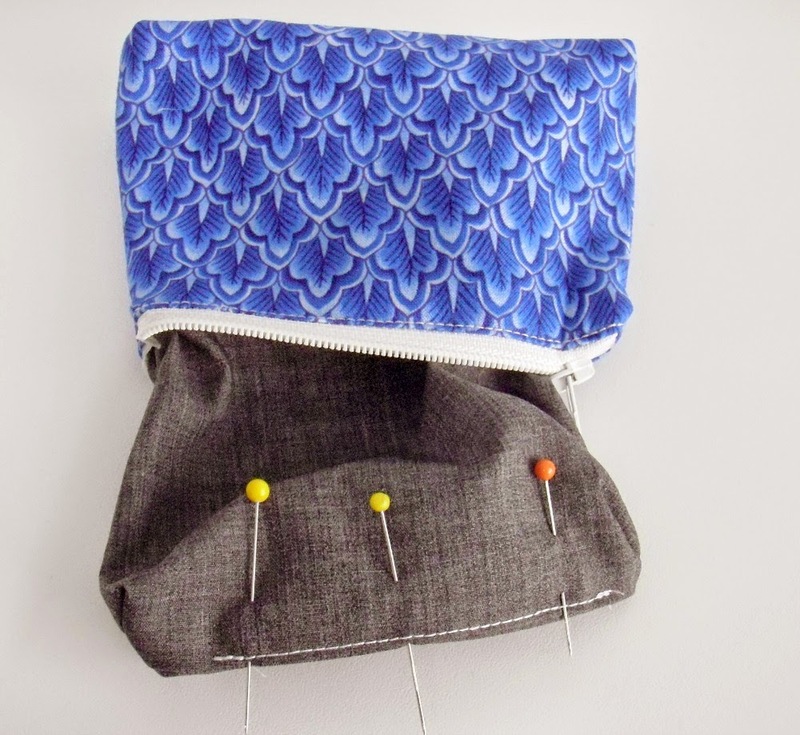 11) Top stitch along the zip with a 1/8” (3mm) seam allowance. 12) Open your zip at least halfway. 13) Pull your outer fabrics together, and your lining fabrics together, matching edges. 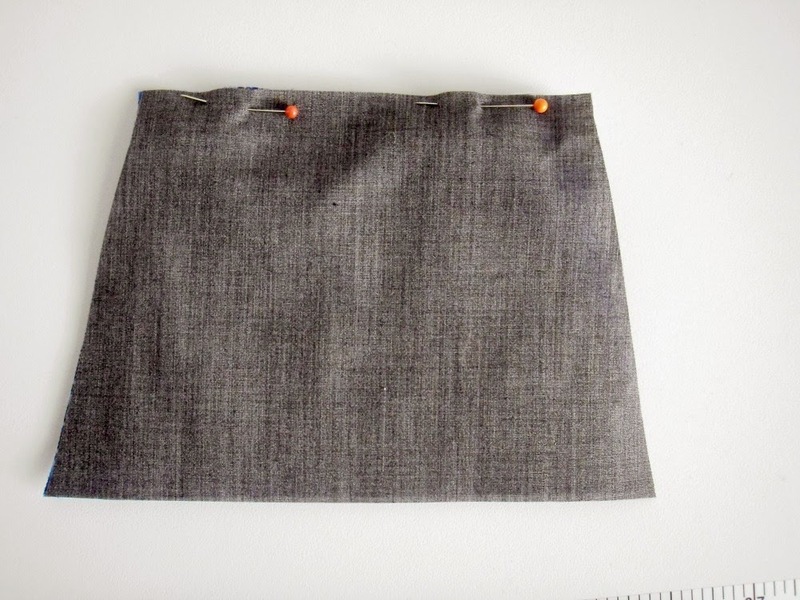 14) Stitch around your outer fabrics, securing your ends, starting and stopping 1/8” (3mm) from the zip. 15) Stitch around your lining fabrics, securing your ends, starting 1/8” (3mm) from the zip, leaving a 2” (5cm) turning gap. 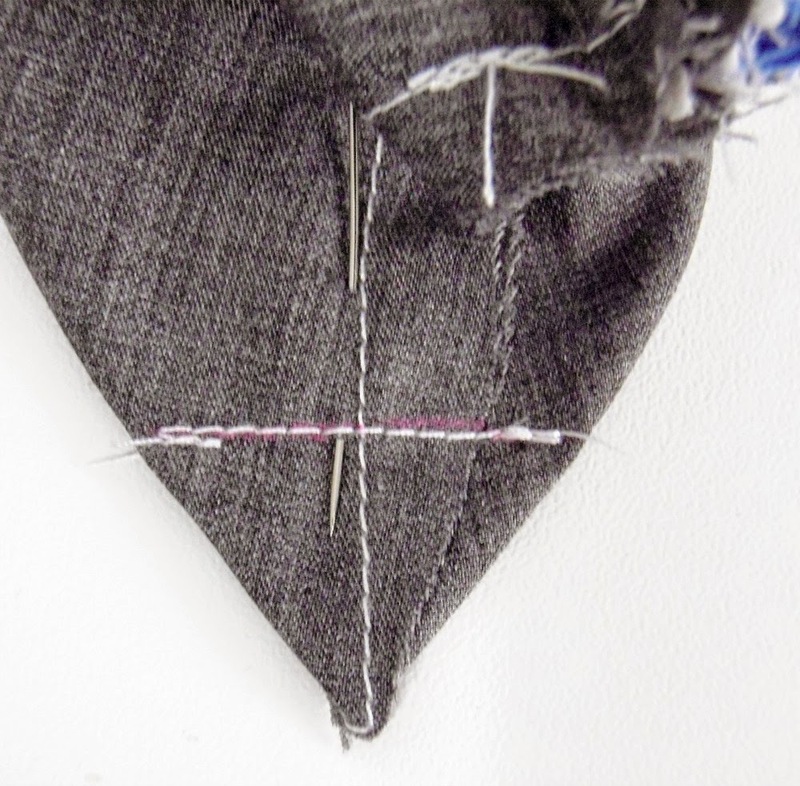 Backstitch at the start and end of the turning gap to reinforce your stitching. 16) Clip the corners of your outer, and lining to remove the seam allowance bulk. Make sure you don't accidentally snip through your stitching. 17) Flatten the point of your lining corner, matching seams and pop a pin through the seams. 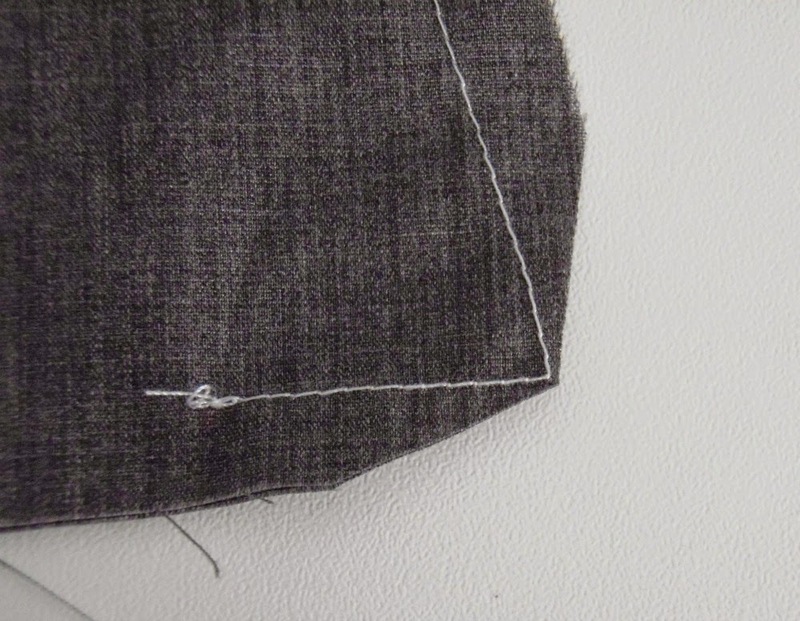 18) Using a fabric marker or tailor's chalk, mark a line 1 1/4” (3cm) in length. This should be 1/2” (1.5cm) from the tip of the point. 19) Stitch along this line and then trim the excess point. 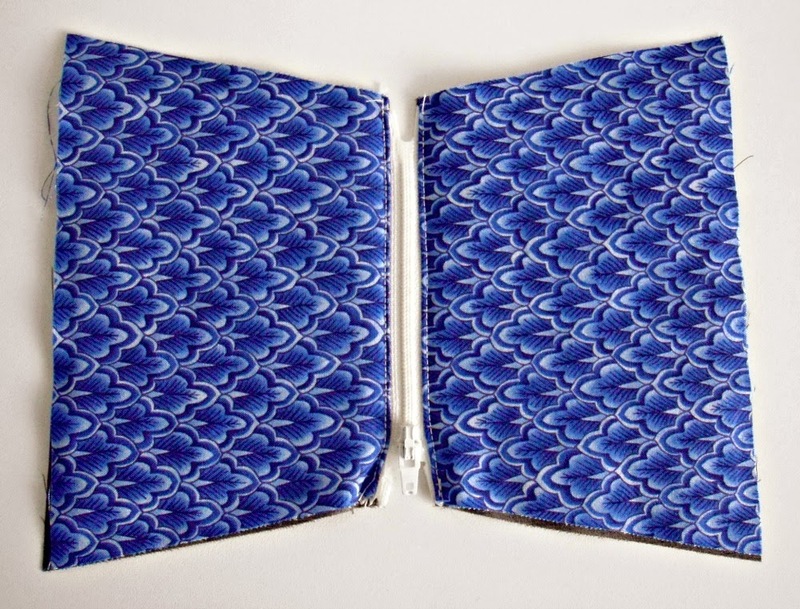 20) Repeat for the other lining corner, and then the other two outer corners. 21) Turn the purse through the turning gap, and then through the zip so that the outer is right sides out, with the lining pulled through. 22) Turn under the gap left in the lining and either ladder stitch, or machine stitch in a matching thread, to close the gap. 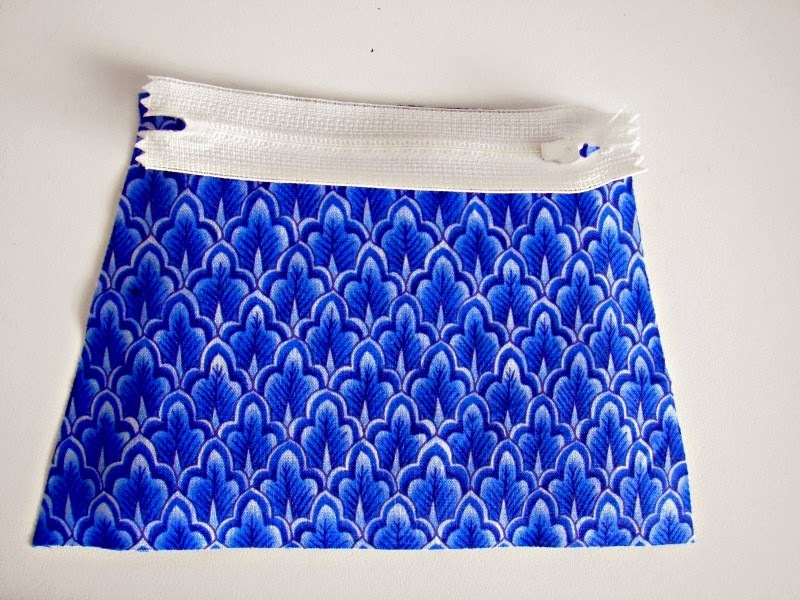 23) Press your purse if needed, and tuck the lining back inside. Your purse is now ready for filling! 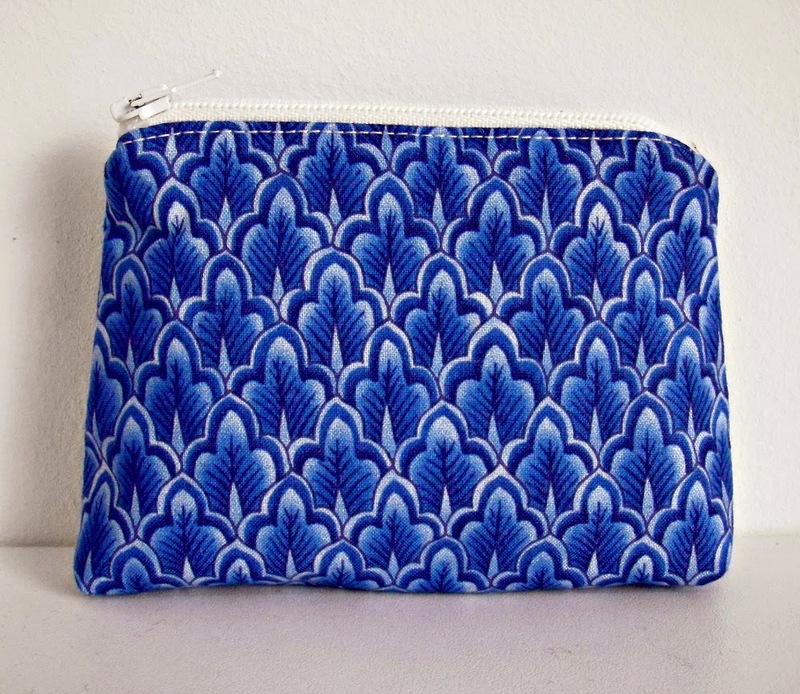 Don't forget to link up anything you make from my patterns or tutorials to my Flickr Group! I'd love to see what you make!